What is an issue in project management? An issue is a problem or roadblock for a project. Typically, an issue slows down the project progress and can stop the project from finishing on time. As with anything in life things go wrong without warning or notice - that is when we have an issue. A project manager needs to watch out for issues and do his or her best to handle them. The first thing to be done is to document an issue in the issue log. An issue log is a document which is used to record issues or problems. The issue log is typically a spreadsheet with a set of rows with each row representing an issue. The same information is captured for each of the issues listed in the log. Generally, the fields captured are issue name, description, severity, priority, and impact. Issue logs are very commonly used in project management and also widely used in other like team management and resource management. Issue severity is a measure of the impact the issue has on the project or task. Mostly the issue severity is measured in low, medium, high and critical. Depending on what stage the project is and the nature of the issue the severity can vary. But the below definitions will apply for the majority of the projects. Critical - Severity with the most impact. Critical means almost definitely will stop the project or task completion. A critical issue can severely affect the project KPIs and throw the project into Red. High - Severity with an impact that can slow down the task or project but not halt the entire project. Can affect one of the KPIs but if remediation not applied then could stop the project. Medium Severity which can affect the work of a few individuals or cause the project to stall for a while. Mostly recoverable. Low - Mostly only affects one individual or causes a minor delay in the project. Will not affect any of the KPIs. Trivial - This category is just for documentation and will not generally affect the project timelines. There are several advantages to having an issue log. The issue log provides a single place to log all the issues. Issue doesn't float around in emails or different documents. Using the severity and priority issue with major impacts can be easily highlighted. Helps by maintaining an audit trail as all the issues are logged at one place and future projects can use the same information. It also helps in identifying recurring issues and address any patterns with the issues. 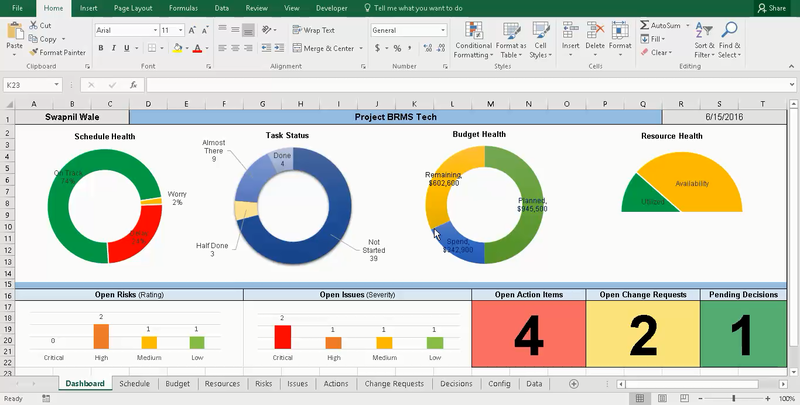 Having a project issue log template to capture issues is very essential to ensure that all the information is captured and all the information is stored in a central location. 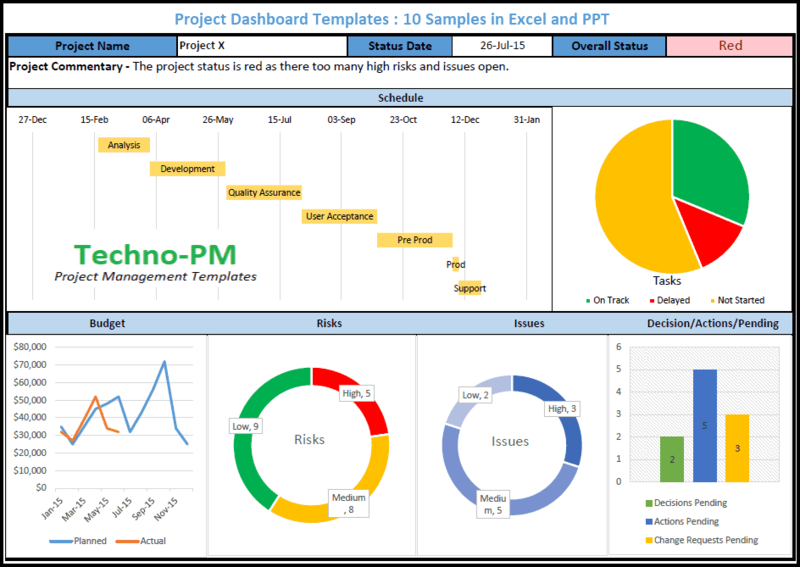 The excel issue log can be used for Project Issue or Project Defect Tracking, It can also be used to simply track issue within a team. 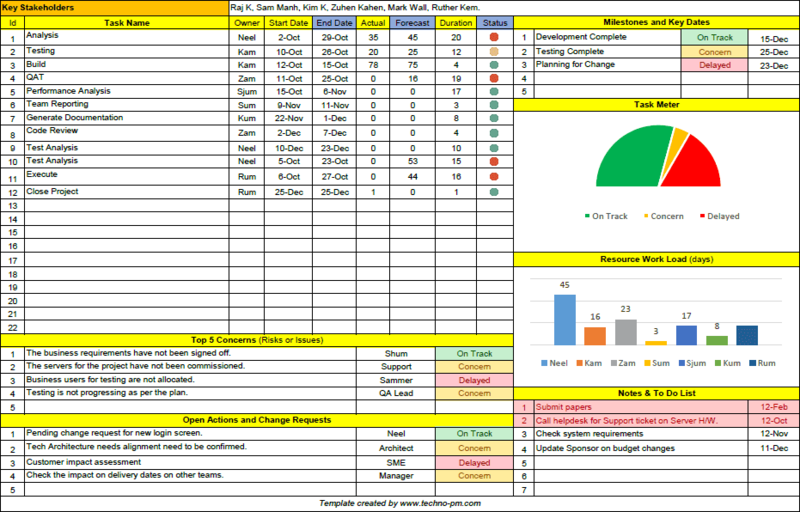 The issue log captures all the key information and uses conditional formatting so that critical issues are highlighted. There are few key columns in the issue log which are important when it comes to prioritizing the issues. These columns are Severity, Priority, and Status. Severity and Priority. Severity - Can be one of the following values Critical, High, Medium and Low. The severity of an issue in the measure of the impact that the issue has. Priority - Can be Urgent, High, Medium or Low. The Priority defines how fast this issue should be fixed. Status - Status can be New, WIP, Closed or On Hold. New status should be used when the issue is new and no work has started on it yet. WIP is Work In Progress and should be used for issues which are being worked on. On Hold, status is for issues which have been put on hold for some reason. Closed should be used for issues which are fully closed. What are the components of an project management issue log? SL No - An incremental unique number for each issue in the log. Issue Title - A small title for the issue. Examples are "Resourcing Issue", "Login Issue", " Token Issue". Issue Description - A detailed description of the issue. Reported On and Reported By - Date when the issue was reported and whom it was reported by. Owner - The person to whom the issue is assigned. Comments - A free-form text field which can be used for a variety of reasons. It can be used for adding status updates, mention any roadblocks or dependencies. The issue log provides a summary of all the open issues and their severity. This table view can be very handy when reporting the status. Also, for senior management it is useful information to do prioritization. Update the issue register or log as soon as the issue is reported. You can populate partial information to start with and then at a later time add detailed information. You can start by adding only the heading to the log. Be sure the correct severity and priority are reported. If in doubt then question the information reported. Always keep the issues log sorted so that people can find the information they are looking for. Book a regular meeting to review the issues log. This can also be discussed in the weekly project meeting. Publish the issues list regularly. If the issues have to be tracked for a short period then you can send it daily. If the project is long then you can publish it weekly. It is a good practice to report the top 3 or 4 issues from the issues log in the project status report. The summary section can be pasted directly into the body of the email which will be used to publish the issue register. If any critical or urgent issue is reported then it is a good idea to send an email to the key project stakeholders.